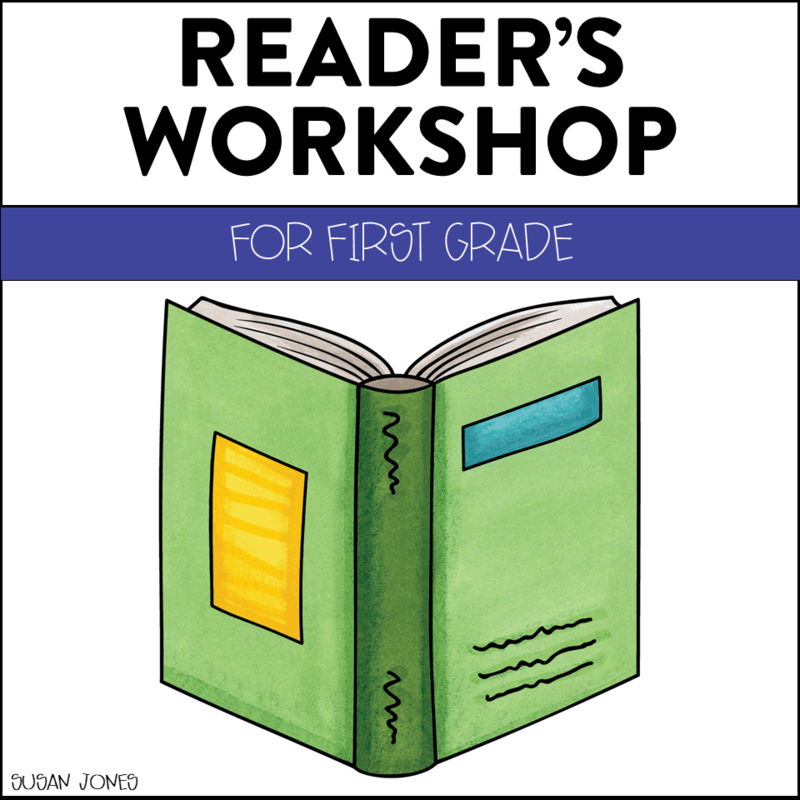 Do you use Reader’s Workshop in your first grade classroom?! 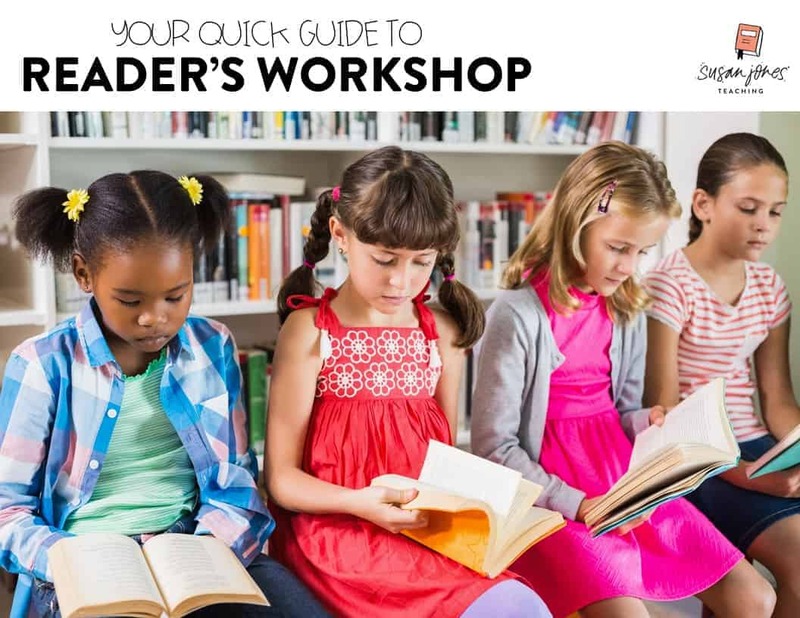 It was an absolute game-changer for me when I started researching and implementing Reader’s Workshop and its benefits in a primary classroom. I really wanted to get away from the overwhelming prep of literacy centers and I had my “aha!” moment when I walked into a 2nd grade classroom 7 years ago… when I walked in I saw the teacher in the back of the room at her table with a small group and EVERY other student was spread out around the room reading. Every single one. You could hear a pin drop. “What was the sorcery?! ?” I thought to myself! Alas, it was Reader’s Workshop in full effect. And from that day forward, I wanted to read and research all about it to see if it would work for me and my first grade students. Spoiler alert: it did! Way less prep: when I tried out literacy centers my first years teaching, I was constantly trying to keep them fresh and engaging. I was cutting, laminating, storing all sorts of pieces of paper. It quickly became overwhelming because I would be planning all of that on top of planning my guided reading groups for each day. 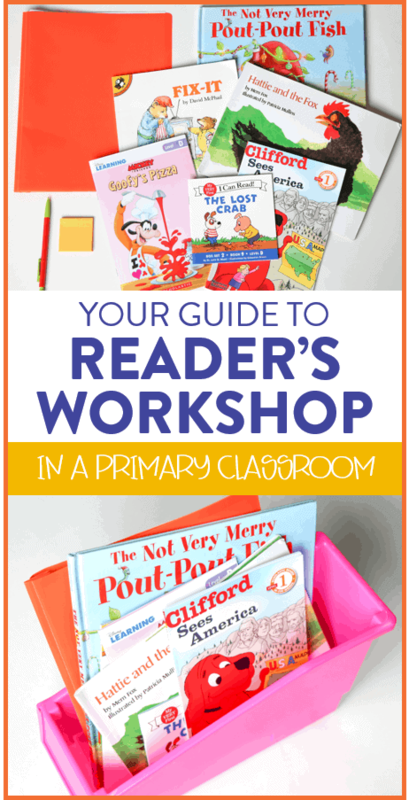 When I started Reader’s Workshop – there was NO PREP for this time period… all students needed were their books! All I had to prep for was my guided reading groups that day. While I don’t want to take away from the time needed to model and explicitly teach your students how to build stamina and read independently for longer periods of time, this approach has been a much easier one for me! Not assignment based: When I say this, I mean that everyone is working on different things during their independent reading time. It is a much more cumulative approach to their learning. 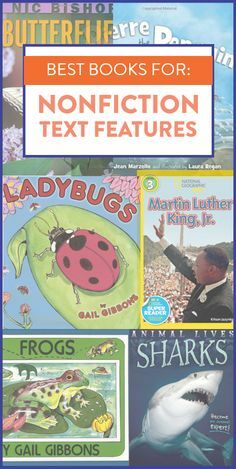 For example, in a basal or program with one “text of the week” the teacher generally reads the texts aloud and provides assignments (reading/writing responses, crafts, etc) based on that one text. It is not always an accurate measure of student learning, nor does it necessarily meet students at their own level. 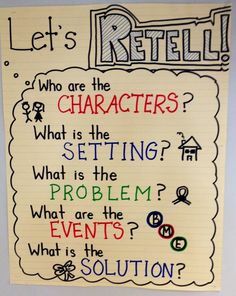 In Reader’s Workshop, there is always an explicit teaching point for the lesson which is modeled through a read aloud, however there are no tasks assigned for students to complete. Instead, they are encouraged to practice that skill – when it comes up – in their own texts. 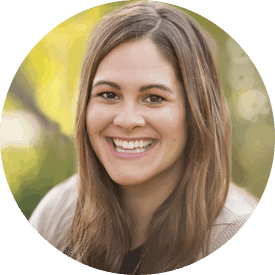 Flexibility: within the predictable format of Reader’s Workshop there allows some flexibility for teachers to find what works best for them and their students. What do students keep in their book bins? How long is your independent reading block? How do you incorporate a closing? Do you include a “shared practice? etc. 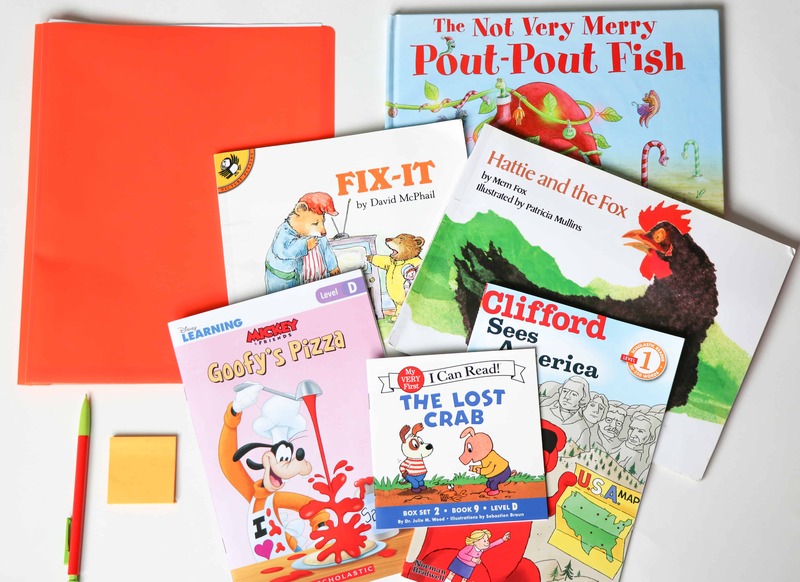 I have had the privilege of seeing many successful Reader’s Workshop blocks throughout the years, especially last year as a K-2 literacy teacher. 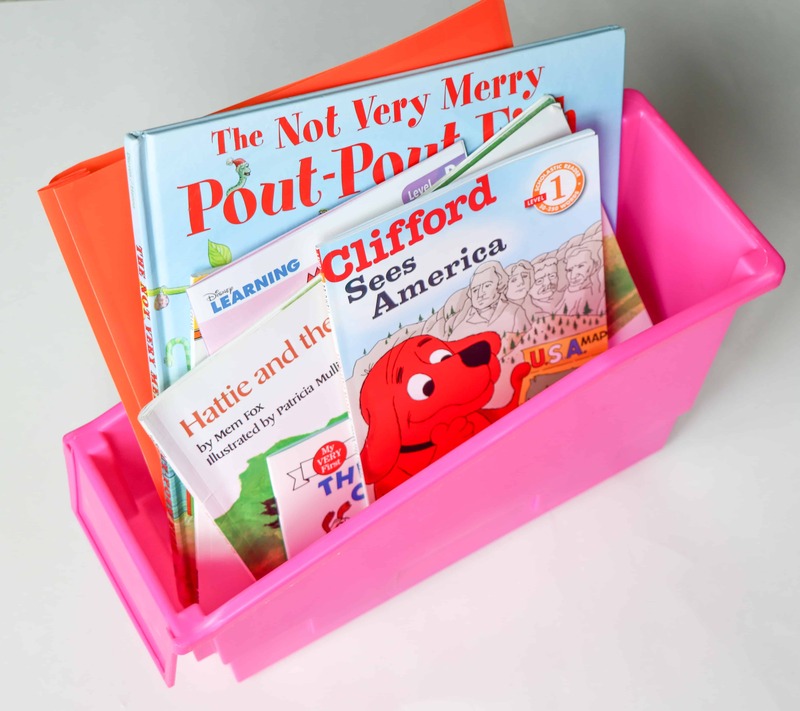 Let’s talk about what is inside my book bins! 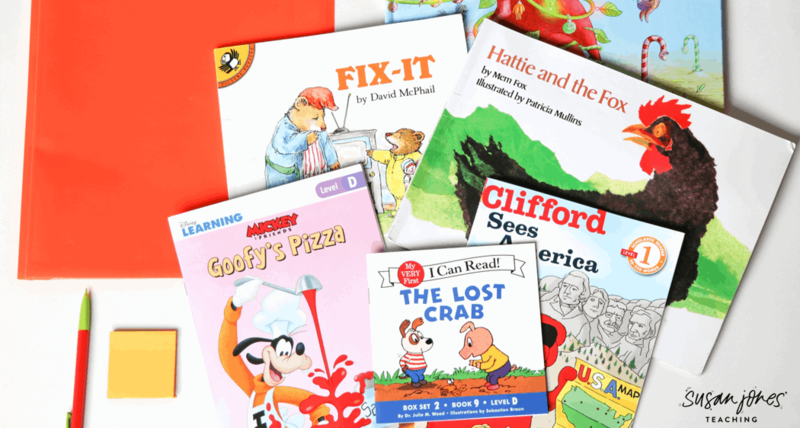 The just right books are books at or around their reading level. The choice books are any book they want! Sticky notes are used from time to time to help students point out something or mark something in their texts. Poetry folder is an option we have in my classroom which hold all their phonics poems. When talking about our book boxes, I wholeheartedly believe in student CHOICE. A reader is a reader, regardless of any sort of level. That being said, leveled books are helpful when teaching students to self-monitor and understand what they are actually reading. I like to make sure my students choose 3 “just right” books and then 3 books of any kind for their book bins. I don’t stress too much about students finding a perfect, “just right” book because I will have leveled books in my guided reading groups! 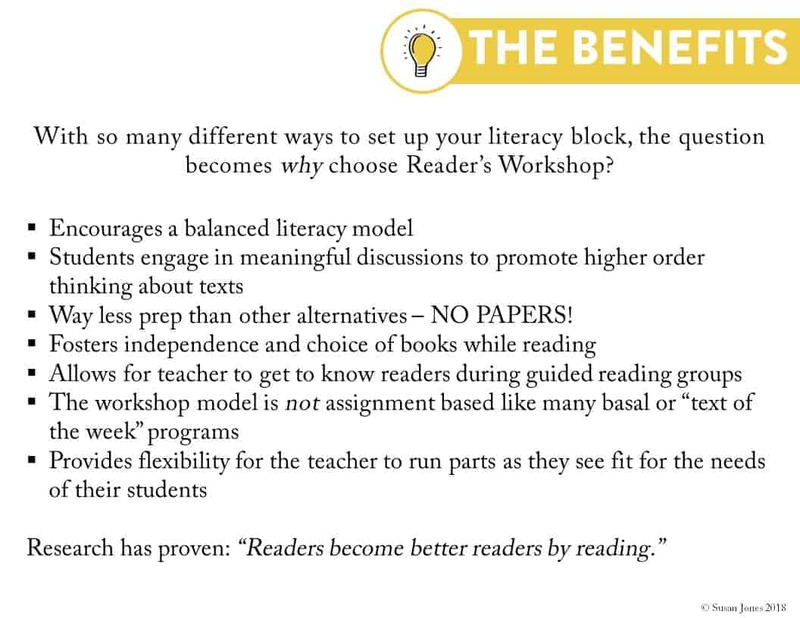 These are just some of the reasons I love Reader’s Workshop and if you are thinking about trying it out in your room, you may want to download my FREE Quick Guide to Reader’s Workshop to read a lot more. You can also view the video session where I walk through the guide and answer Q&A at the end. Be sure to download the preview for a look at the scope and sequence! 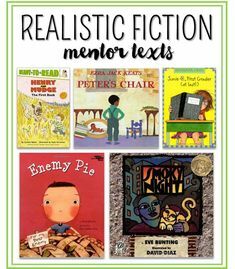 I would LOVE to not have to prepare reading stations during small group time. But I just can’t wrap my head around how teachers get their students to actually read when they’re on their own. I’ve had kids just stare into space, talk, turn pages without reading, and some who do actually read. I have previously tried to roll out Daily 5 but I just have such a hard time keeping students on task. I feel like the teachers who successfully implement this are the magical unicorns of the teaching world haha!! Just kidding, I’m sure plenty of teachers do, but unfortunately, I haven’t figured the trick out yet. It is so tricky – especially in the younger grades! I will say that planning out SUPER EXPLICIT lessons on what we actually do during Independent Reading is what has helped me the most. I also let students know that staring into space is, in fact, totally normal lol! I have a whole lesson on the fact that we often “space out” while we read, but I teach how to go back into our books and refocus. Honestly, as long as students are bothering others during this time, I think it is perfectly fine! Each child is working at their own pace to build their reading stamina and every.single.student I have ever taught using Reader’s Workshop has built their stamina significantly throughout the year!